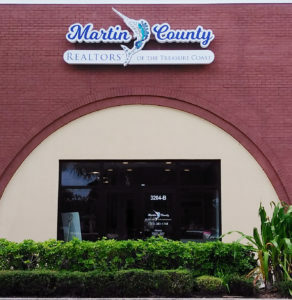 Establis hed in 1926, Martin County REALTORS® of the Treasure Coast (then called Stuart Board of Real Estate) was founded by ten brokers who were operating without professional resources such as industry contacts, educational opportunities or legislative influence. Forward-looking business people, they saw the advantages of belonging to the National Association of REALTORS® (NAR) headquartered in Chicago, with local chapters at state and community levels. NAR promoted professionalism and offered methods to resolve transaction disputes between REALTORS® and the public. By embracing NAR’s strict Code of Ethics, the ten brokers became REALTORS®. The REALTOR® Board continued to grow and mature, keeping pace with state and national associations. The Stuart Board of REALTORS®, started by those original ten, expanded to 60 members by its 50th birthday in 1976. Now it enjoys a membership of over 1000, including affiliate businesses. NAR is the world’s largest trade association, with approximately 1.3 million members. Its purpose is to enhance the ability and opportunity of its members to conduct their business successfully and ethically, and to promote and preserve the right to own, transfer, and use real property. Members of Martin County REALTORS® of the Treasure Coast want you to find the home of your dreams. Think of a REALTOR® as your personal resource to help educate you about the entire home buying process. 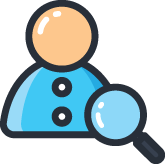 For a current list of Martin County REALTORS®, or to locate a REALTOR® by name, use the MCRTC Member Search. Martin County REALTORS® of the Treasure Coast (MCRTC) is one of more than 1,800 Associations nationwide that comprise the National Association of REALTORS®, the nation’s largest trade association and voice for real estate.